He's a chef, but you could also call him an inspiring think. An innovator. A warrior. A team player. A Dutch master. 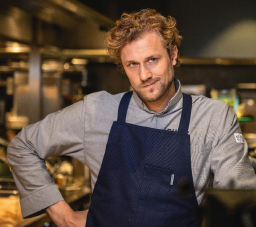 We're talking about Joris Bijdendijk, Michelin-star chef of RIJKS*, the restaurant at the Rijksmuseum in Amsterdam in the Netherlands. "We need one another to form a whole. It takes quality products to make quality dishes." 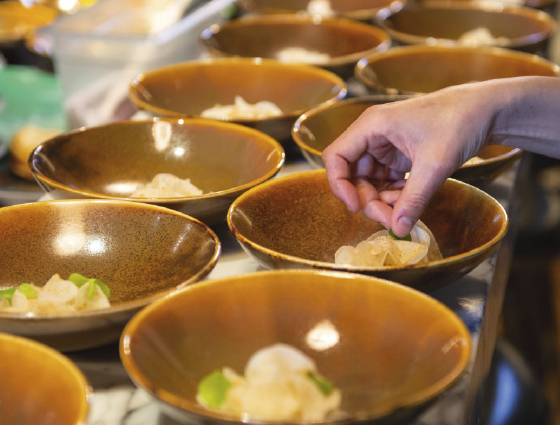 It all comes together on the plate: tastes, textures, colours. How do you create unity in a dish? "To me, unity is synonymous with simplicity. And the only way to achieve this is with self-confidence. It's an eternal pursuit. But I've learned and dare to use fewer and fewer ingredients. It's uncertainty that makes you add more and more to your dish. As if nothing is ever enough. But I swear by the adage that 'less is more'. More often results in the opposite of unity, namely a cacophony of disjointed items on your plate." 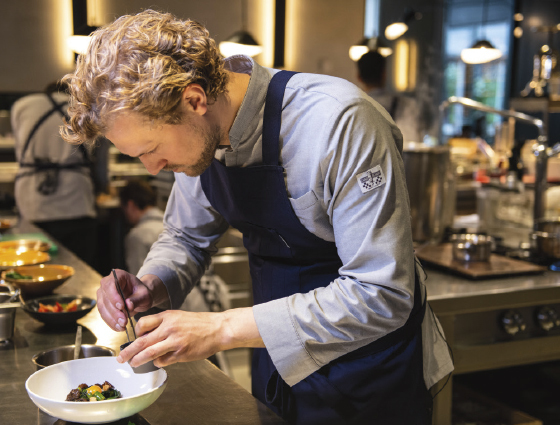 Bijdendijk promotes the culinary heritage of the Netherlands. "The Netherlands has fantastic small-scale farms with unique traditional breeds. But all the regulations and legislation have made their work difficult. The Chaams chicken, for example, the oldest pure Dutch chicken breed, is no longer found on menus. The last farmer with these chickens has stopped breeding them. And the Gelderland Blaarkop cows are also endangered. More and more unique Dutch products are disappearing as a result and, with them, our culinary heritage. We need each other to continue to form a whole. Without quality products, we cannot make quality dishes and the Dutch culinary culture will become endangered."